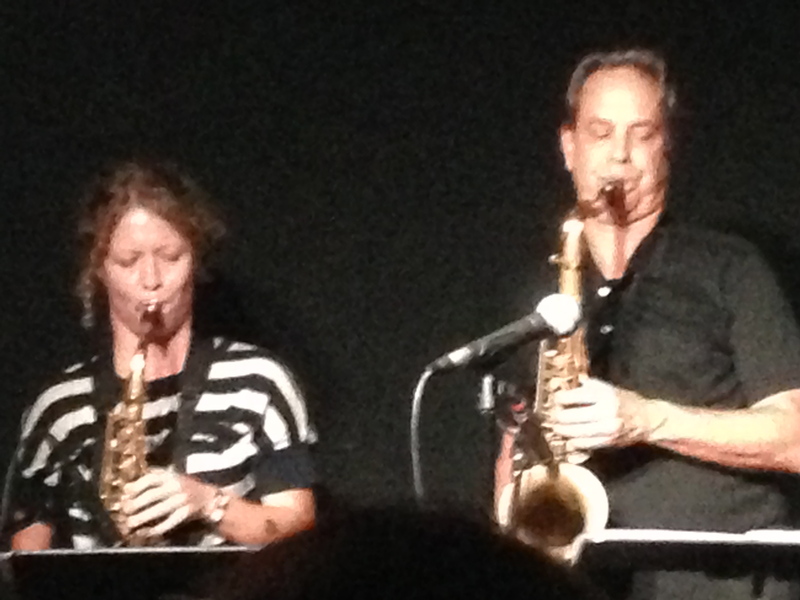 I thoroughly enjoyed the concert last week in Philadelphia by Ben Goldberg’s band Unfold Ordinary Mind. 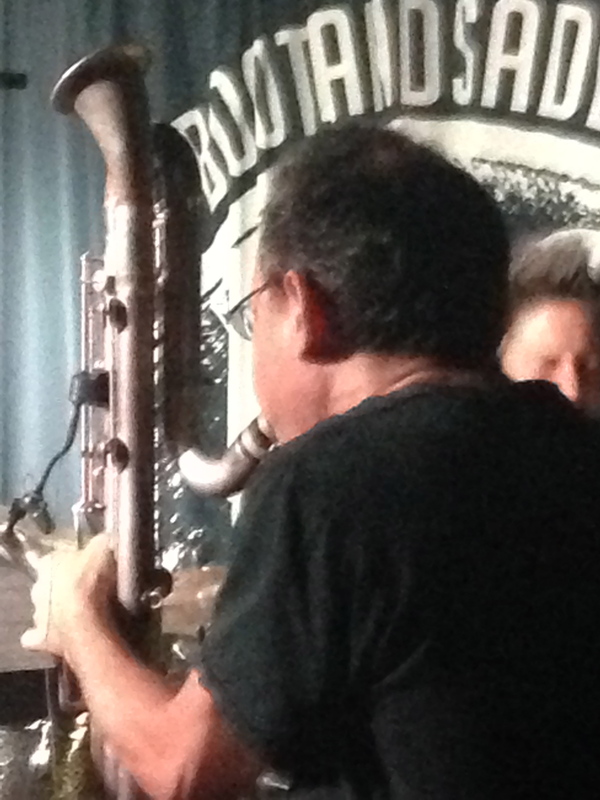 The foundational premise for the group is that instead of a bass player, Ben plays the bass parts on contra-alto clarinet, a rare instrument that is pitched between the standard bass clarinet and the contrabass instrument. The band also includes alto and tenor saxophones, guitar and drums. The result of this instrumentation – and the way Ben has written for it – is a rather large small group. The contra alto serves both as a rhythm section member – playing bass parts – and as the bottom end of a reed section. 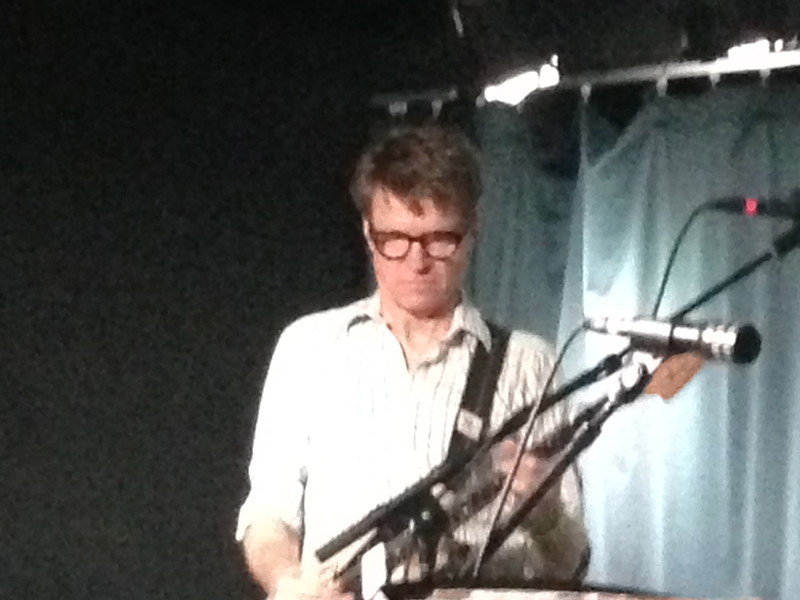 Nels Cline’s guitar also has multiple functions, working both as a rhythm section member and – thanks to Cline’s virtuosic transformations of his sound via various effects boxes – as another “section”, with its own array of colors. Cline is a unique player; I’ve never seen anyone manipulate real time sound processing gear with such uncanny speed. His tremolos are alarmingly dense, and he always can find a moment to quickly color a sound with the whammy bar. Still, his playing is not all nervous energy, he can groove as well. Ben’s writing, and the band’s interpretation, relate to the Monk/Ornette region of jazz: the music is at once tuneful and adventurous. Ben can invoke musical archetypes (for example, the descending bass line in rock ballad tempo of Parallelogram), freshened because of the band’s instrumentation – but then in performance the players take the music to a more exploratory place. I was impressed with how Casey Knudsen, alto, and Rob Sudduth on tenor shaped their solos in long arcs. Drummer Allison Miller is an extroverted spirit, whose rambunctious energy nicely complements Cline’s more contained intensities. As for the leader himself, he was everywhere and nowhere – everywhere because the band’s book consists almost entirely of Goldberg originals, nowhere because of his self-effacing choice to cover the bass parts of the music rather than be in the front line where a wind player is normally found (when he does give himself the opportunity, he offers eloquent solo statements); everywhere because a bass line is inherently everywhere, directing harmony and groove; nowhere because his composing invokes archetypes that are bigger than he is; everywhere because of the fresh life he and his colleagues breathe into those archetypical forms. Zen mind is everyday, ordinary mind; long may Ben Goldberg continue to unfold the mysteries for us. Some blurry iPhone shots from the recent Philly gig at Boot and Saddle below, followed by video from the group’s subsequent appearance at the Saalfelden Festival in Austria.